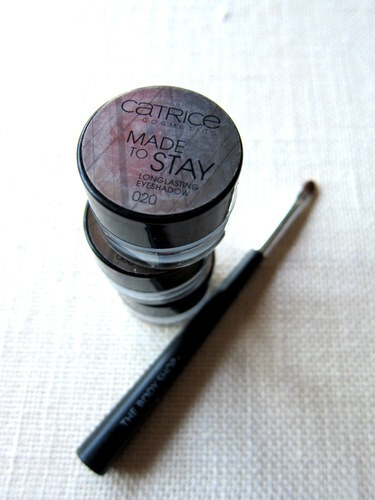 Catrice, you’re killing me! Or killing my bank balance, to be more precise. Yes, your prices are brilliant, but so are your products: the temptation to buy up every single colour for myself, my best friends and my sisters is just too much for one weak willed beauty blogger to bear. And so it proved with this week’s fluffy little pick of the week. I bought one of these mousse-like metallic cream shadows on Saturday, wore it the next day and picked up two more after work on Monday! 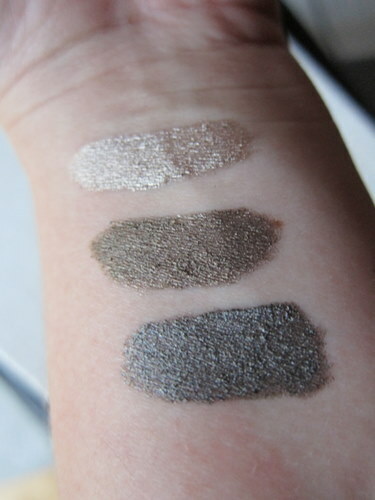 I started off with Romans Gone Bad, a dark smokey pewter and then picked up Metall Of Honor, a deep bronzey shade, and Lord of The Blings, which as a pale champagne gold is the lightest colour in the range. They’re all simple to apply - I’ve been alternating between a Body Shop lip/concealer brush and the brush that came with my Chanel Illusion d’Ombre shadow. They set to a smudge proof finish and really do stay put all day. Coming in at €3.99 each, these shadows are a highly affordable alternative to Chanel’s Illusion d’Ombre and they apply and wear just as well. With 6 gorgeous colours to choose from, these shadows are a foolproof way to buy into this season’s metallic trend. Get down to Dunnes, Penneys or your local pharmacy and check them out for yourself. Trust me – you need these. Now. I am totally loving all over their easy to apply bling. Have worn them every day this week so far. Really enjoying your posts btw! fantastic reading over a cuppa coffee! Snap, those are the exact three that I bought a few weeks back. I've been using them all this week and I love them, definitely gonna pick up the other three in the range. oooh these look good - might have to give these a shot Em ! Thanks guys - seriously good, aren't they?! You'll love them Joanne, I'd say that pale champagne one would be great on you. These look fab Em. I'd say the texture makes them easy to apply. Do they last all day though or do you have to reapply? 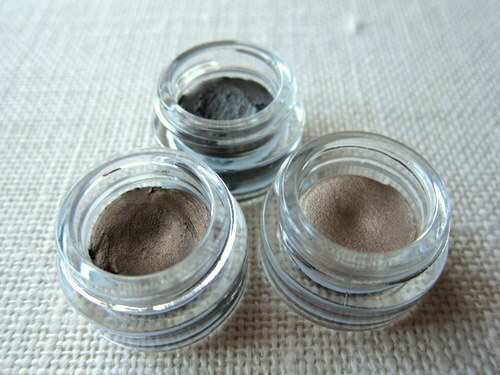 No need to reapply Jen - like the name says, they're made to last and they stay put all day. Thank you for sharing a list of makeup that could work one way or another. However, can you suggest a good concealer that would hide my spider veins? One that is good and makes it look like I had a vein therapy.